If you’re one of the millions who made a New Year’s resolutions, congratulations; you’re already a step ahead. Now if you’ll be one of the few that stick with them throughout the year, double congratulations; you’re one in a few! New Year’s resolutions are common, but many people set goals and barely make it past week one. So is it still worth it to make them? Read on to find out. According to Statistic Brain, the #1 resolution for 2014 is to “Lose Weight,” followed by getting organized, spending less/saving more, and enjoying life to the fullest. At the bottom of the list (#10) is “Spend More Time with Family.” One issue with this list is that it implies that weight loss is above everything else, and if, for instance, you can achieve the #1 resolution all the rest will be more easily attained. Out of most of the Top 10 on the list, losing weight is the one that can take the longest time and most energy, therefore making it one of the hardest to achieve. Might it be better to achieve the easier things first while chipping away at the hard stuff? For instance, make sure you have dinner as a family tonight and plan a family activity for the weekend. That you can do today! According to the website mentioned, only 8 percent of people who make resolutions are successful in keeping them. Twenty-four percent of people make and fail on the resolution each year. Less than half of those who make a resolution keep them past six months (46 percent). However, people who make an explicit resolution are 10 times more likely to attain their goals than those who don’t make a resolution. That fact was echoed a couple years ago in a New York Times article. In that article, it goes on to say that if you can stick with your resolution through January you have a “good chance” of lasting a lot longer. Employing strategies and “new digital tools” can “significantly boost your odds of success.” Think mobile calorie counter! Most people fail at their goals because they run out of willpower, which is no longer a metaphor but an actual mental energy powered by glucose in the bloodstream, say social scientists. In fact, if you are able to anticipate your own limits of willpower, you can be more successful with your resolutions. The way to do this is to “play offense,” not defense, with your willpower. For losing weight, you’ll do better by not being surrounded by temptations (i.e. removing junk food from the house) so you’re not testing your resolve and willpower. And starving is still a big no-no. It reduces your bloodstream’s glucose levels and essentially weakens your willpower. This is one reason people that people who have great self-control in other areas of their lives have a hard time keeping extra weight off. And if you do make a resolution to “lose weight” it’s better to be more specific, like lose 10 pounds – something attainable in a few months. Don’t make your total year’s worth of weight loss your goal. Break it into smaller goals. Then reward yourself for each goal you hit along the way. The NYT article lists other useful information about setting and keeping goals. Check it out! 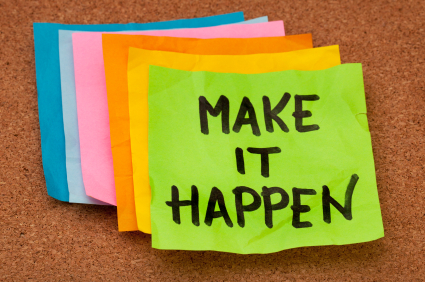 Tell us, how will you make 2014 your most successful year yet? Happy New Year! We at MyNetDiary hope you have had a successful year in your efforts to live a healthier lifestyle.